The pre-orders for the Apple Watch opened on Friday morning and despite having some doubts after reading the many reviews that were published this week I’ve ordered an Apple Watch Sport in Space Grey. It’s over two years since I bought, tried and quickly sold a Pebble. For iOS users the Pebble was always a poorer platform compared to Android but I had issues with the size, looks and performance of the Pebble which have never really been improved although the Pebble Time does look to be a far better device. However the benefits and the opportunity that a permanent wearable device could bring still intrigues me hence the Apple Watch order. Health tracking in particular interests me and although the iPhone tracks steps just as well as my Fitbit, I don’t always have the phone with me unlike the Fitbit. However Fitbit’s refusal to share data with HealthKit is annoying and will ultimately force me elsewhere. I’m aware that the Apple Watch could end up being a bit of a dud, especially the first generation. Size, performance and battery life all look like first generation compromises but this is the start of a brand new platform for Apple and the technologist in me is super interested in what that means for a user community that is so invested in smartphones. Will it lead to a shift to wearables? Is it the start of a new app store rush for watch app’s? Only time will tell and thats party why I’m sticking to the Sport edition for now as it’s the cheapest way of getting in on the platform. Unfortunately I’ve not had chance to get into an Apple store to see the watch in the flesh as I’ve been hit with a nasty cold/flu bug this week which has kept me housebound but initial feedback from friends is that the Apple Watch is all the more impressive in the flesh and that the bands all have strengths and weaknesses that will mean personal choice more than one particular format will win out over time. 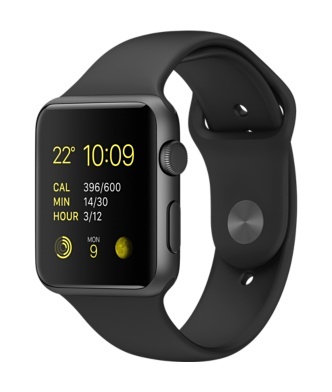 What is already tiring is seeing comments belittling people for pre-ordering an Apple Watch. Well they can all piss off as they are mostly the same folk that couldn’t believe the price of an iPhone when it first came out and they wouldn’t waste their money. Most of them now have an iPhone or a Samsung equivalent and very short memories. I’d rather try for myself and then make a judgment on it’s worth not just dismiss it offhand.